Sheil Solicitors, established in 1906, have developed a loyal client base through commitment to case management, practical advice based on a sound knowledge and understanding of legal principles, same-day attention to clients and value for money. Recruitment and retention of high calibre staff is a priority for the provision of consistently good service. These principles enabled Sheil Solicitors to evolve to the present day with a reputation for reliability and sound commercial advice. Serving the needs of our historical base of rural and farming clients, both private and commercial, helped develop an expertise in property and businessl law, a significant element of the practice, to include commercial mediation (CEDR approved). 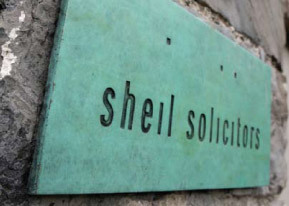 Many years experience in representing the interests of the corporate sector, as the practice developed to meet the changing needs of clients, have brought Sheil Solicitors to the position it holds today as one of the most enduring general practices in Dublin City. It has the necessary expertise to advise both the commercial and the private client. In March 2008, after over 100 years of practice on the Quays, we relocated to purpose built offices at 34 Lad Lane, Dublin 2. Please e-mail or call us if you wish to discuss any legal matter. We're here to help and advise.